Hold music allows your callers to enjoy listening to your company music while they are put on hold. 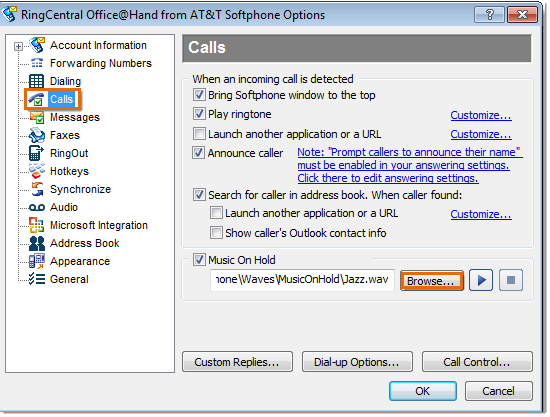 This article will guide you on how to upload customized hold music through your Softphone. Launch the Office@Hand Softphone on your computer. 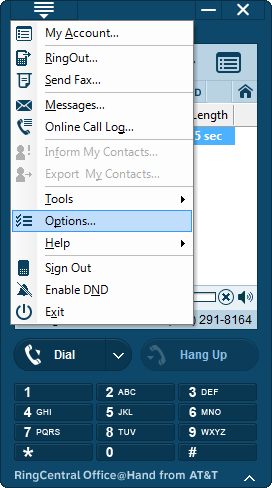 Click Menu > Options > Calls. 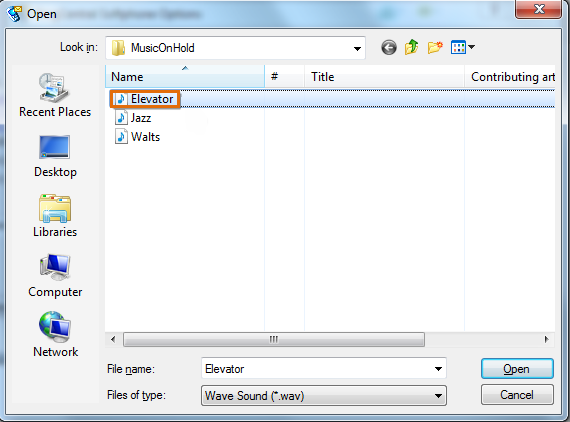 In the Music On Hold section, click Browse and find the .wav file on your computer (the properties of your .wav file must be PCM, 8kHz or 11kHz, 16 bit, mono). Select the file that you wish to upload. Back in the Calls window, click the Arrow to play your selected music. Close the Call window by clicking OK.